However the problem lies with the fact that Man Of Steel is a simply incredible musical theatre song, its power and emotional hold are up there with any major production key show song. 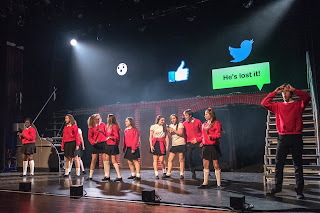 This coupled with the fact that is was chosen to have a professional singer, Graham Bickley, cover the song for pre-publicity puts tremendous pressure on what is only a community production at the end of the day. It left too much optimism for me, which the show didn't quite manage to overcome. Except, it is still a quite brilliant show. Created by the Perfect Pitch theatre company (Book & Lyrics: Timothy Knapman/Music & Lyrics: Laurence Mark Wythe), Danny Hero tells the story of oddball teen Danny who spends much of his time imagining himself in a comic book world where he as the titular character battles the likes of The Walking Dread. 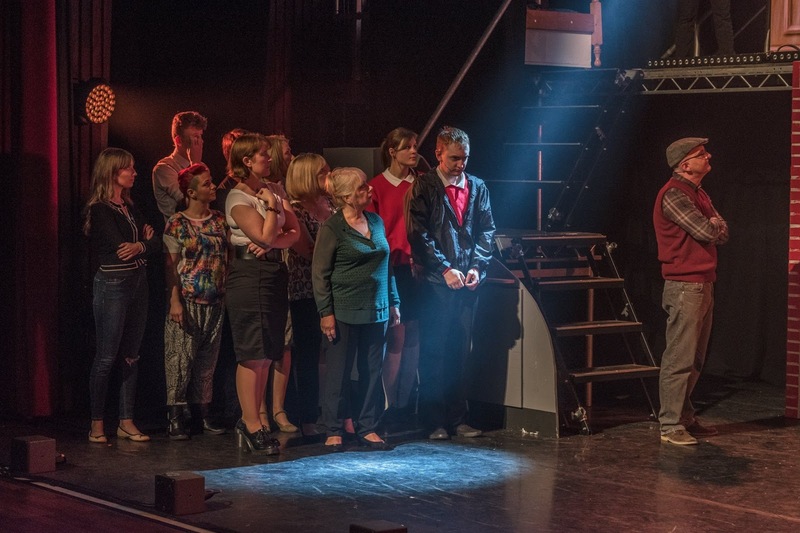 It's a larger than life story of evil businessmen and closing industries that strikes hard on the town of Corby, as this is very much created for its debut home. It is a lovely little story at its heart and the music, of which there is a great deal, adds a thrill to proceedings. 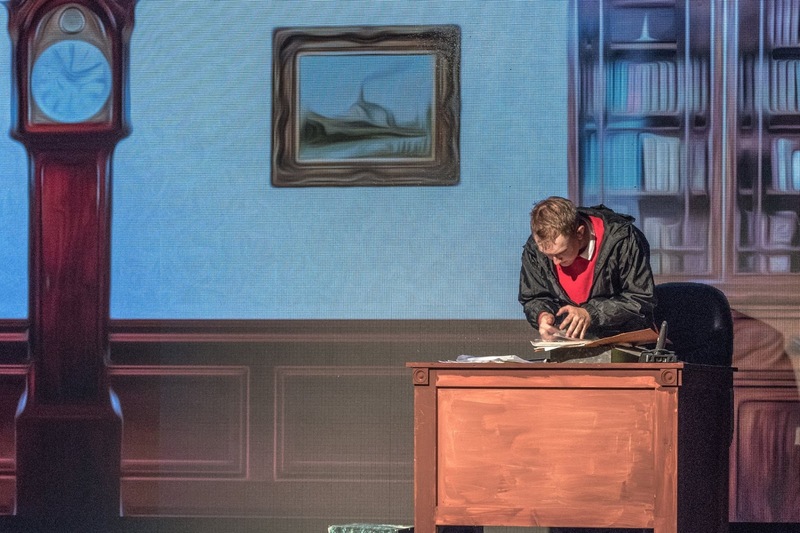 Kev Aitken as Andy (right) and cast. 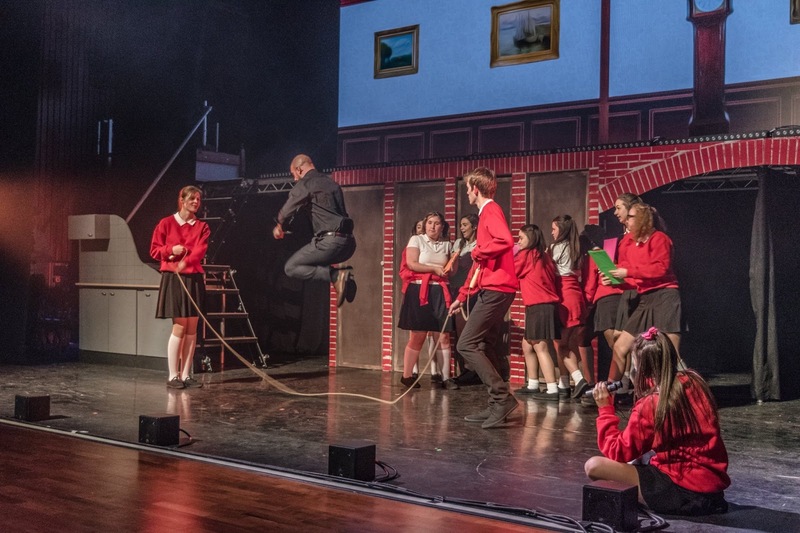 As well as the aforementioned Man Of Steel, which is excellently performed by Kev Aitken as Andy, the best of the other numbers fall in the hands of the "Schoolkids". Weird is an incredible catchy number, cleverly also spun as the final number, this as well as the wonderful A Very Good Cause offer the very best of the shows songs,. The latter is also excellently staged by choreographers Sophia-Jade Madden and Marcia Mitchell. Its the best that the ensemble routines offer though, as much of the time they are kept to a simplistic nature. No doubt, due perhaps to time restraints. The cast is a mixed bag, with the already mentioned Kev Aitken one stand-out. 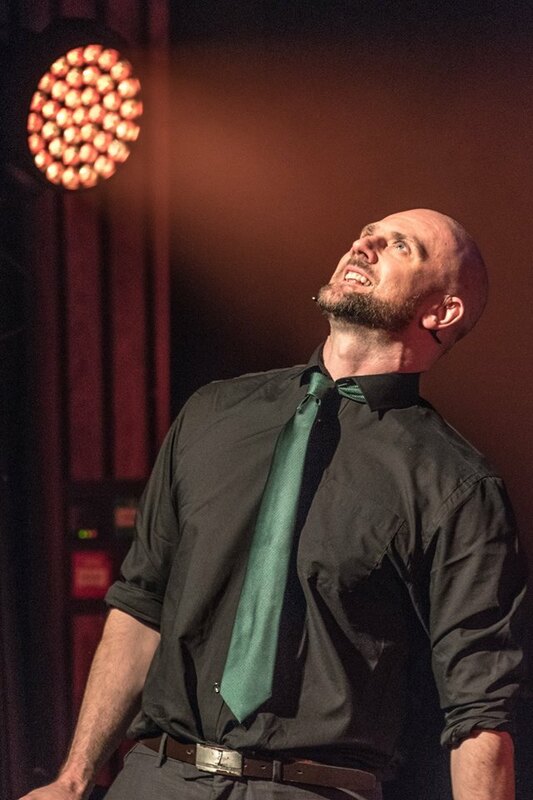 Also of high recognition is Gordon Ritchie as the villain of the piece Tony Hunter, confident and perfect in his delivery of the deliberately larger than life character. 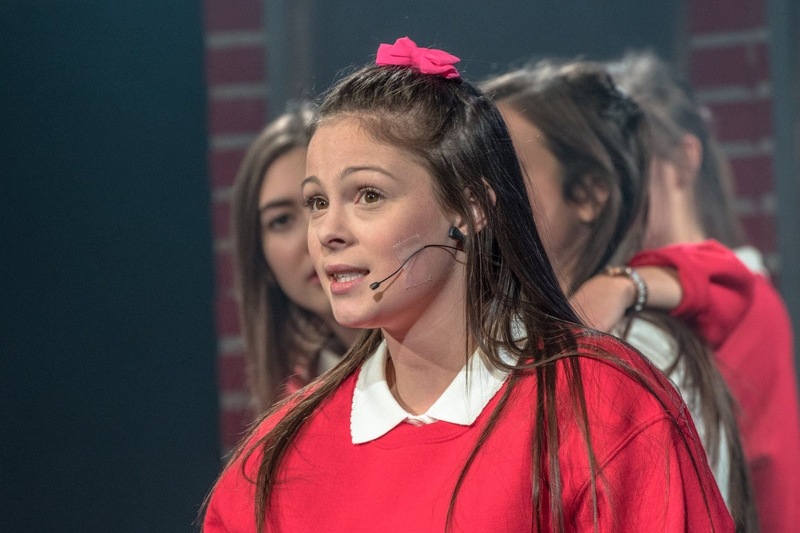 I enjoyed Loretta Padgett (Abigail), Amalie Meadwell (Harriet) and Mandy Sonko (Sasha) in their roles, excellent especially in the Schoolkids rountines. Also it was clear that Leisa Cooke was having more than a little fun in her vixen role of Diane. There was a nice relaxed gentle delivery from Kim Laughton as Danny's mum Sheila which at times was appreciated as there was on occasion a tendency to over perform from a few of the cast in the singing department. I myself will take this on the basis of it being an overexcited first night, although I did fear for a few of the voices the next day. Kayleigh Tucker delivered a really sweet performance as Kyra, the obvious love interest of Danny and fellow superhero incorporated into his comics. It is though rather awkwardly Danny that I had the biggest problem with, Martin Brown while sometimes brilliant, his performance of Brave for example is excellent, often doesn't quite have the depth of character needed to hold the shows lead. Be it nerves for opening night or something else, it just doesn't quite work for me all the time, and it is a shame that for much of the first act, he doesn't quite have the presense to run the show. Opening night had just a few technical issues, including none functioning mics, and maybe could have done without quite so long set change blackouts to keep the flow. However it is without doubt an excellent little show, with great music and with Man Of Steel, the writers certainly knew they had a winner they used it thrice. It also very much knows how to close the first act in an exceptional way. 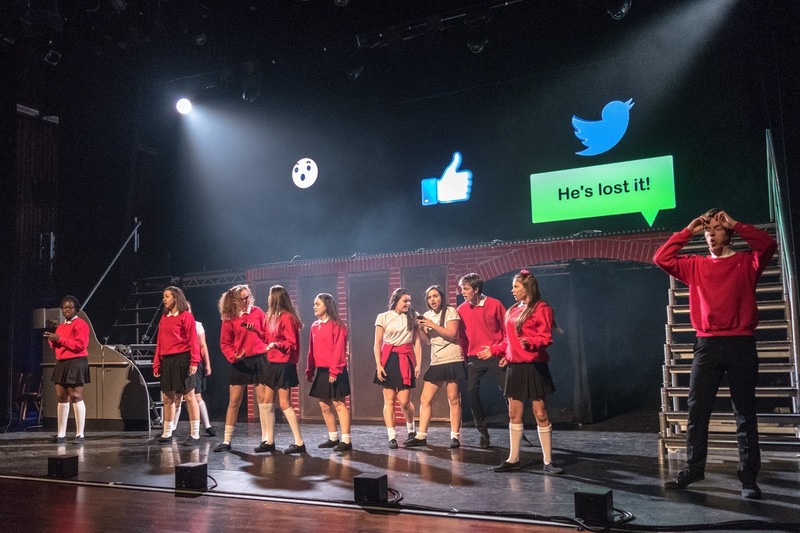 Overall a tremendously enjoyable experience and no question the show deserves to see light of day again in some way as a piece of so-called flimsy musical theatre, it sure has an important moralistic story to tell. Danny Hero runs at the The Core at The Corby Cube until Saturday 29th October, 2016.